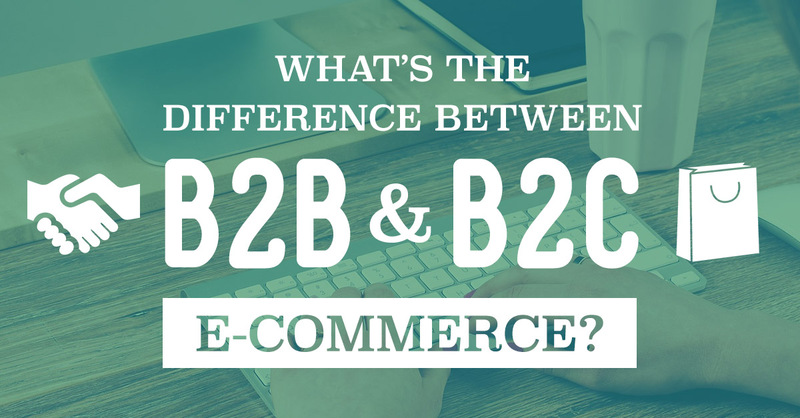 What’s The Difference Between B2B and B2C E-Commerce? When you are selling your product in an e-commerce environment, the first thing you need to consider is the audience that you are selling to. Are you selling your product to other business owners or are you selling your products to an everyday consumer? This is what defines whether you are a business to consumer e-commerce or a business to business e-commerce. Let’s take a look at the mindset of a consumer versus a business when buying into a product or service to help you understand the difference between B2B and B2C e-commerce. Businesses are a small and more focused target market. Selling to other businesses is more focused on how both businesses can benefit from each other. Businesses rely more on relationship in terms of who they conduct business with. The buyers want to know exactly how the product or service they are buying works and how it can save their company time, money, and resources. Consumers are generally interested in a short marketing message about the product they are looking to purchase. They want a product that can they can see clearly benefit them immediately. Consumers usually are usually have less brand loyalty, so if they see similar products that can do the same thing, they will choose the one that is at a cheaper cost to them. They also are more emotionally driven when buying their products. Status, desire, and price are some things that a consumer will look at when considering the purchase of a product. They do not need to know how the product works, as long as it completes a need that they have.For example, take a look at one of Ready Artwork’s client’s websites LBCLighting; an e-commerce website that was built for B2C. Once you get to their site, its gets right to the point. 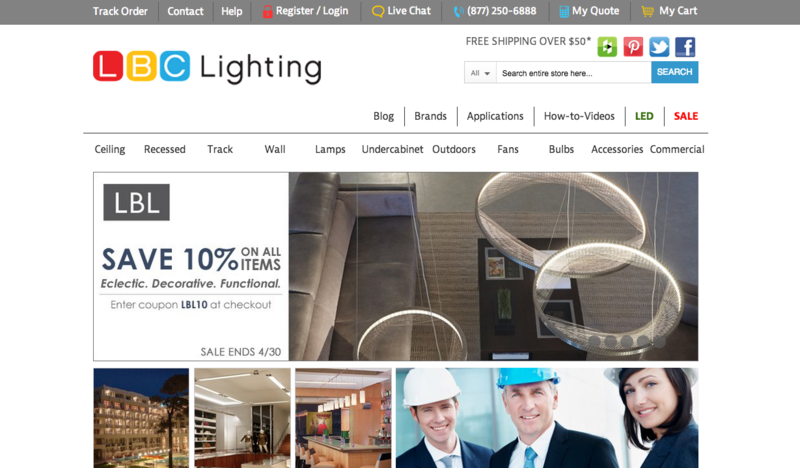 You can search for any kind of lighting that you need such as ceiling lights, wall lamps, outdoor lighting or light bulbs. There are pages for specific brands for those who are more loyal to specific brands. The process to actually purchase an item is done quickly and easily in one page, making it easier for the consumer to checkout. Check out some additional helpful e-commerce resources from Ready Artwork below and contact us with any questions you may have at 626.400.4511! How Do E-Commerce Websites Calculate Sales Tax for Online Orders?